An ultrarunner confirmed a family dynasty with a win in one of the toughest events on the calendar. 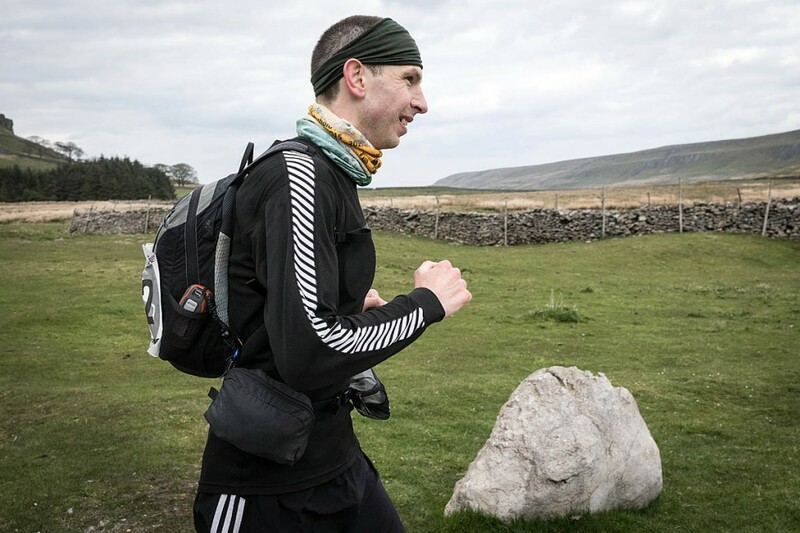 Chris Perry followed in his brother Adam’s footsteps with victory in The Fellsman, the 60-mile (97km) traverse across 10 peaks in the Yorkshire Dales. 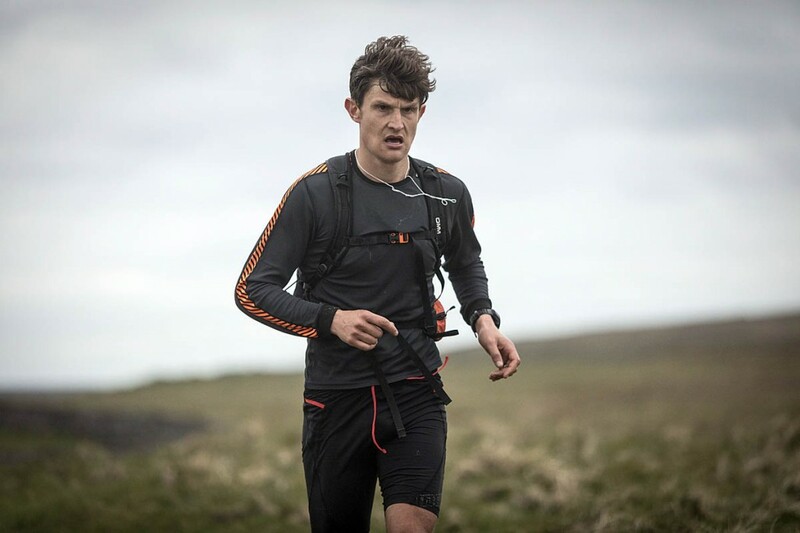 The 31-year-old Dark Peak Fell Runners member led the field to finish the gruelling challenge in less than his personal target time of 11½ hours. His younger brother, who has posted a hat-trick of wins, sat out the race this year, but was on hand at various checkpoints to encourage Chris, and the pair’s father Kev also took part in the event. This year’s Fellsman was run in mainly dry conditions, with early sunshine after the 8.36am start giving way to cool and windy conditions. The terrain underfoot was unusually firm. Chris Perry arrived at the Threshfield finish shortly before 8pm on Saturday, with a provisional time of 11hrs 21mins, ahead of three joint second-place runners, Simon Bourne, Kevin Hoult and Stewart Bellamy, who finished more than half an hour behind the winner. Lawrence Eccles had set the early pace, with strong runs up the hills, but Perry made his decisive move after Dentdale as the event entered its second half. An unusually dry period had left the Yorkshire Dales fells largely free of some of its energy-sapping bogs. The Fellsman winner said: “Today suited me really because it was bone dry everywhere, so there was a lot of running that could be done. “It wasn’t too hard underfoot, but it was dry. A lot of the becks and streams, there was nothing in them. A lot of the bogs where you are normally knee-deep, you were just gliding over, so it was good.” Early sunshine made for warmer than usual conditions for the runners, but the day clouded over and the breeze grew stronger throughout Saturday. 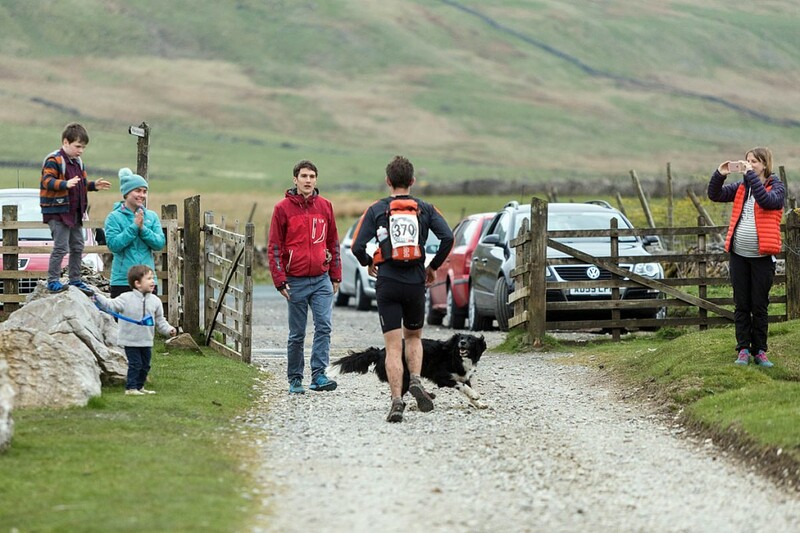 Entrants in The Fellsman run unsupported – there are no pacers or navigators to help runners, but at roadside checkpoints encouragement is often on hand – and Chris Perry also had another incentive to keep up what turned out to be a largely solo run in the second half of the event. Recovering at the finish, he said: “The old man’s out there somewhere – Kev Perry – he’s a bit of a soldier. It’s always handy when he’s chasing you, to get you round. My wife and my little boy were out supporting me and my dog Archie. It’s always nice to get to a checkpoint and see some friendly faces. “It was a little bit of a struggle being on my own, because I didn’t know how hard to run; I couldn’t even see anyone, so I couldn’t gauge how fast I was or how hard I was running. From Stonehouse I was pretty much on my own. The Fellsman starts in Ingleton and makes its way over many of the Dales’ peaks before descending into Threshfield, 60 miles later. The route goes over Ingleborough, Whernside, Gragareth, Great Coum, Blea Moor, Great Knoutberry Hill, Dodd Fell, Middle Tongue, Buckden Pike and Great Whernside. 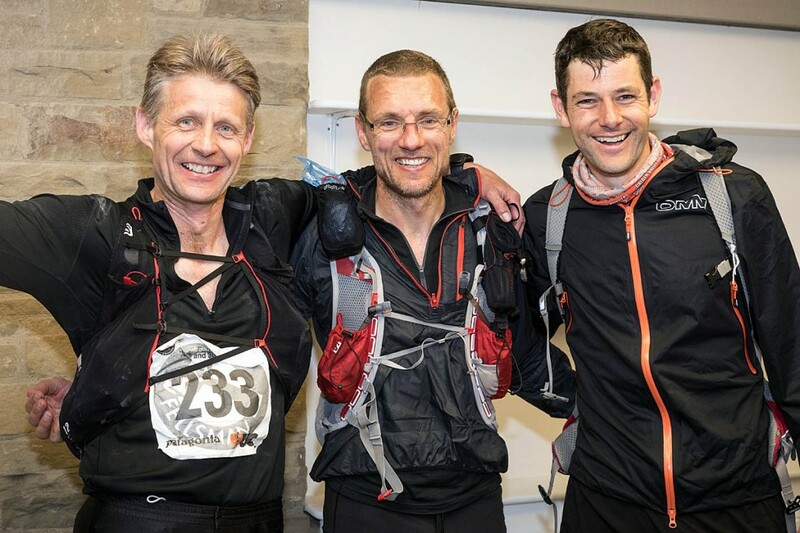 Lawrence Eccles held second place until the descent from Great Whernside, the final fell, when a trio who had run the full race together, Simon Bourne, Kevin Hoult and Stewart Bellamy, overtook him to take joint runners-up honours with a time of 11hrs 56mins. Self-employed electrician Chris Perry has added another family victory to the Fellsman rollcall but says he won’t be pitting himself against his younger brother. “I don’t team up with Adam; he’s too fast for me. And I’ve got a little boy to look after.” He’s also looking forward to the birth of his second child in June. In the meantime he has the Old County Tops Fell Race to train for, while Adam has his own plans for the coming few weeks. Fastest woman in the event was Emma Hopkinson, who finished in 34th place overall, with a time of 14hrs 45mins. Sharon Mcdonald was next woman finisher in 15hrs 33mins. Kev Perry took the honours for the fastest runner over 50, completing the course in 12hrs 30mins in eighth place, with Peter Chapman taking the over-60s trophy with his time of 13hrs 27mins in 18th position. Terry Butterworth was the first participant over 70 to finish, in a time of 17hrs 31mins, in 109th overall place. There were 374 starters, of whom 291 managed to complete the event. Mark Helie was the final walker to make the finish, in a time of 28hrs 57mins. Sorry to see no women ran in the race this year. Why no mention of the women's results? The women's results weren't available at the time of writing. Did you write a piece then covering the women when you got their results?